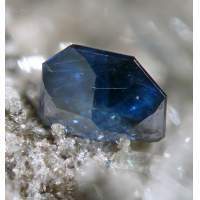 The analytical, experimental and computational methods now used in environmental mineralogy are introduced and illustrated with selected examples. Following a note on the importance of the radiation sources used for diffraction and spectroscopic studies, and a brief reminder of the key role still played by routine methods of mineral characterization (optical microscopy, X-ray powder diffraction [XRD], electron microbeam methods), more specialist techniques for the characterization of bulk solids (including nanoparticles) are considered. These include synchrotron-based advanced XRD and X-ray scattering methods, X-ray absorption spectroscopies, X-ray microprobe techniques, and infrared and Raman spectroscopies. Also considered are transmission electron microscopy, nuclear and magnetic spectroscopies, and particle induced X-ray emission. Following this, attention is focused on the characterization of mineral surfaces and interfaces using low-energy electron diffraction, X-ray reflectivity, X-ray absorption and X-ray standing wave methods, X-ray photoelectron and Auger electron spectroscopies, secondary ion mass spectrometry, environmental scanning electron microscopy, scanning tunnelling and atomic force microscopies and laser confocal microscopy. Computer modelling of solids, surfaces and solution species is discussed briefly before experimental approaches to determining reaction kinetics are considered, followed by experimental studies of the phenomena of adsorption, of evolution of the mineral surface during processes such as silicate weathering, and of how combinations of methods can be used to study the geochemical cycling of arsenic, olivine breakdown, or the comparative reactivities of silicate, carbonate, sulphide and oxide minerals.